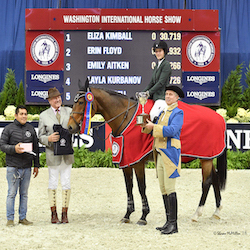 WASHINGTON, August 18, 2015--The Washington International Horse Show (WIHS), one of the most prestigious equestrian sporting events in North America, is pleased to announce tickets are now on sale for its 57th annual event, which will take place Oct. 20-25 at Verizon Center in Washington, D.C.
Held each year in October in the heart of the nation’s capital, WIHS welcomes more than 500 of the best horses and riders in the world, including Olympic veterans, and more than 26,000 spectators to six days of world-class international show jumping and top national hunter and equitation competition plus entertaining exhibitions, boutique shopping, and community and social events. Tickets are available at the Verizon Center box office, online at www.Ticketmaster.com or by calling 1-800-745-3000. The show runs Tuesday through Sunday with day and evening performances except Sunday (daytime only). Daytime tickets (general admission only) are $15 (plus applicable service charge) with children 12 and under admitted free. For evening performances, VIP, reserved and general admission tickets are available starting as low as $20. For group discounts, contact Verizon Center Group Sales at 202-661-5061. For more information on tickets and discounts for military, seniors and students, visit http://www.wihs.org/tickets/. Excitement is building for Saturday night’s $125,000 President's Cup Longines FEI World CupTM Jumping Washington, presented by Events DC, where the winning rider will be presented with the show's most prestigious prize, the President of the United States Perpetual Cup, a trophy given to the show in 1961 by First Lady Jacqueline Kennedy. McLain Ward and Double H Farm's HH Carlos Z, winners of last year's $125.000 President's Cup Grand Prix World Cup Qualifier presented by Events DC. The week’s featured events also include The Boeing Company Puissance, a thrilling high jump competition on Military Night (Friday) and the prestigious WIHS Equitation Finals for the top junior riders in the country (Saturday). Special entertainment designed for children includes WIHS Barn Night presented by Dover Saddlery, featuring contests, scavenger hunts and the entertaining Gambler’s Choice Costume show jumping class (Thursday), and WIHS Kids' Day, the popular street festival with free, fun and educational horse-based activities for the local D.C. community (Saturday). Highlighted events support community organizations and charities providing services including military family support, therapeutic riding programs for veterans and breast cancer care centers in the local and surrounding Washington D.C. areas. Not to be missed are this year’s entertaining evening exhibitions – the adorable WIHS Shetland Pony Steeplechase Finals, presented by Charles Owen (Thursday and Saturday), elegant Freestyle Dressage, presented by Deloitte LLP (Saturday) and high-speed Army v. Navy Celebrity Barrel Racing, presented by Washington Area Chevy Dealers (Friday). 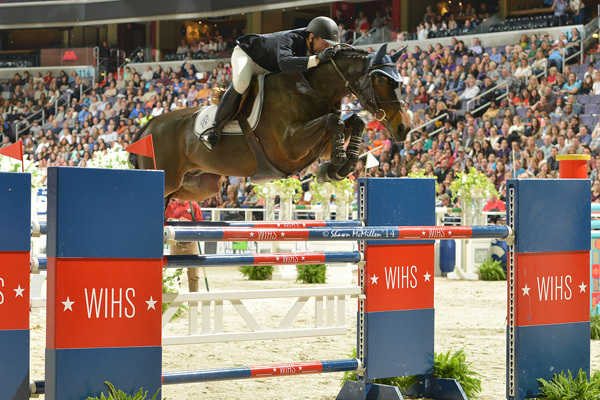 For event details, visit WIHS Event Schedule.